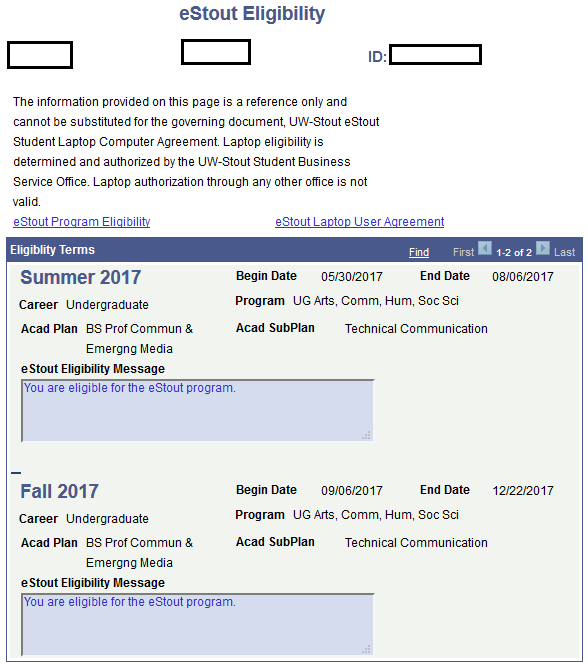 How to find out if you qualify for the eStout (laptop) program. Log into AccessStout and click on Self Service. 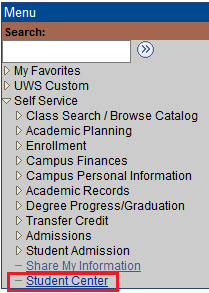 Navigate down to the bottom of the drop-down menu and click on Student Center. 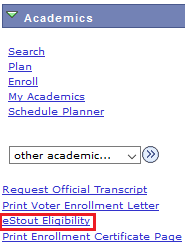 Under the Academics heading, click on eStout Eligibility. This screen will pop up with your information. Note: You may have to turn off your pop-up blocker.